At one time or another, businesses need complete commercial property maintenance and repair services. For businesses in the areas of Philadelphia, Southern New Jersey, Delaware, and Lehigh Valley, commercial property services can include: sandblasting, painting, power washing, remodeling, drywall and insurance claim repairs. 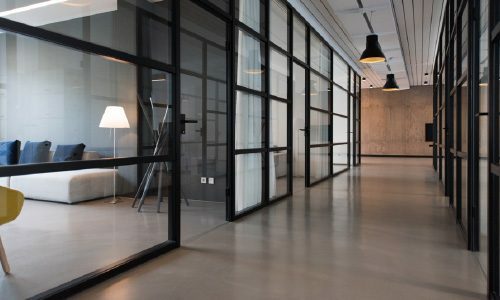 At AW Painting and General Contractors, we can assist businesses with all types of commercial property maintenance, whether it’s a smaller project like repairing a floor or a large-scale undertaking like a complete remodel of your building’s exterior. We will work closely with you through each phase of the remodel, so we can better understand the demands of your company. This is crucial to deliver a structure that functions best for your type of business. At any time, business may need either partial or complete interior and exterior painting services. As experienced painting contractors in Greater Philadelphia, we will go above and beyond to make sure we achieve the desired professional look for your business needs. Our experience understands that the interior and exterior of your business communicates your company’s brand to potential customers. A flawless finish is a must. Not every commercial property is turn-key ready. Whether your commercial property needs maintenance assistance like sandblasting, exterior power washing, drywall, or more extensive repairs, your business needs a full-service company to complete the work you need to get your business looking its best. Remodeling your current commercial property can result in success for your business profits. A professional and sleek building can send the message to clients that you are a professional in your industry and in the business world. Studies show that there is nothing that attracts more customer attention than a professional, new building. We understand that making the right impression is necessary for your business success. In addition to our commercial property maintenance and remodeling services in Philadelphia, we can also provide insurance claim repairs. We have extensive experience doing insurance work in partnership with some of the oldest insurance companies serving Philadelphia, South New Jersey, Delaware, and Lehigh Valley. Contact AW Painting and General Contractors today to see what we can do for your business. The start of your commercial property remodel is only a phone call away.